Do you have problems printing Smart Source coupons? Do you have problems printing Smart Source internet Coupons? I sure do. It’s been over a year now and I still can’t get them to print. I just pass on those deals or find someone else to print them for me. I don’t know what happened but every time I try to print the coupons I get this message. I have emailed and read and searched and haven’t found an answer. I’ve even reinstalled Firefox and IE and deleted my cookies etc. Still no luck. The other thought is to reinstall Windows but that is a pain just for coupons. The website says that at some point some internet coupon that came from my computer were used fraudulently so my computer has been disconnected from printing it. That doesn’t make any sense. I would never ever do such a think. Have you had problems too? Have you ever heard back from compliance@newsmerica.com? Thoughts? It was so nice to meet you and your daughter. I hope you got some good deals today at Rite Aid. Here are some of my past Rite Aid deals that came out pretty good. By the way the manager allowed me to “purchase” the Scotts TP and then come back to pick up when they have it in stock. It works to ask! So I could use both the manufacture coupon and the Rite Aid coupon. Thanks for posting and hope you come back soon! 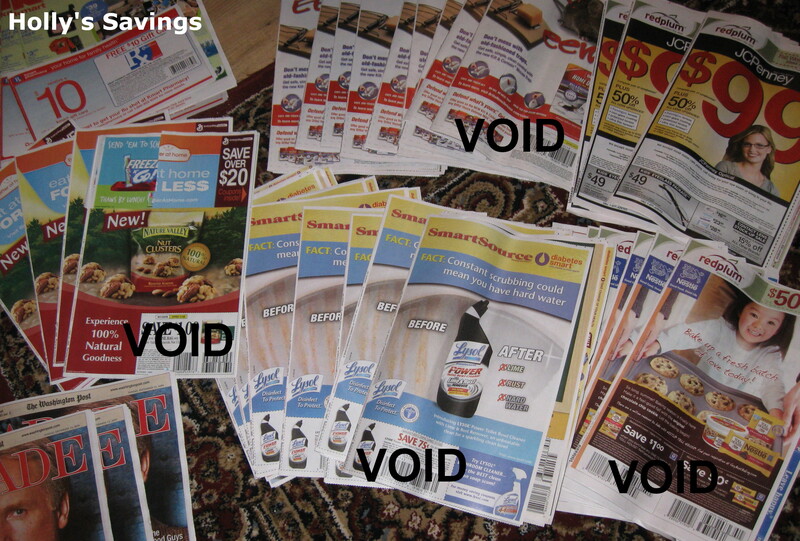 The other day I saw an article on fraudulent coupons, and I am telling you my “untrained” eye did not see anything different from ones I print and redeem. They somehow are different, but I couldn’t see it, and wondered if people who do that type of stuff would “put them out” for un-suspecting others to print and use. How are we really to know? I also have trouble printing coupons all the time — Sometimes they print and sometimes they don’t. Sometimes I get a msg. that I already printed that coupon and I know I didn’t — so most times I give up usually and move on because it’s not worth the hassle. Never got a message like yours tho!